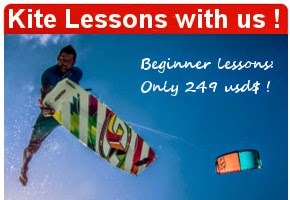 Our Cata/Kite cruise are a new experience and new emotions on your life for your next kiteboarding surf holidays. 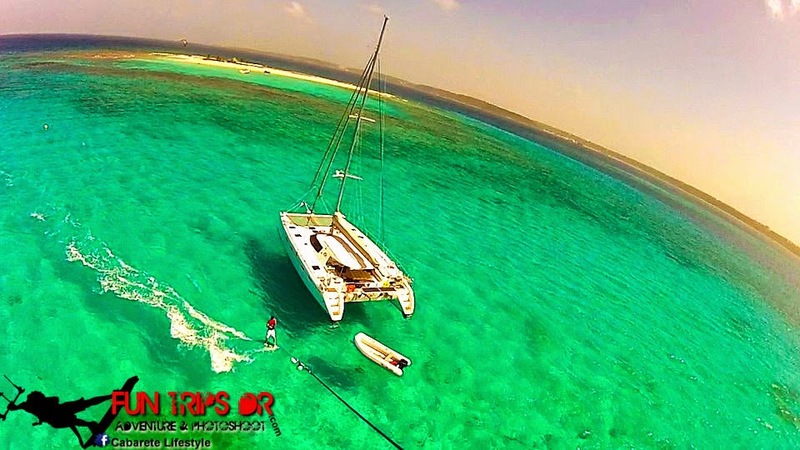 Our trips are the only kite surf cruise in the Dominican Republic. It will bring you into the paradise kitesurf playground and show you the amazing places that this beautiful island has to offer, flat water and crystal water. 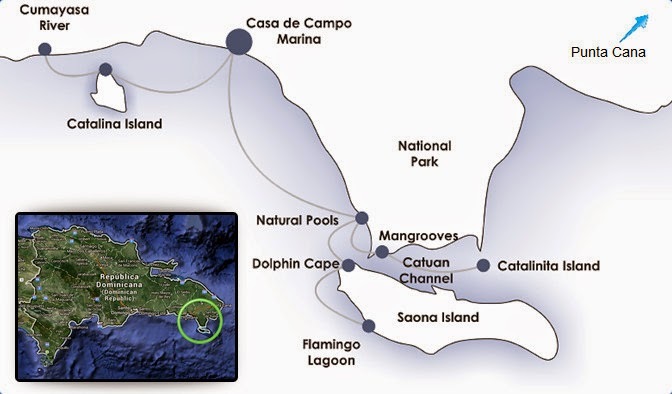 adventure and sport, in what can only be described as paradise on earth, with secret spot only accessible by boat around Punta Cana. 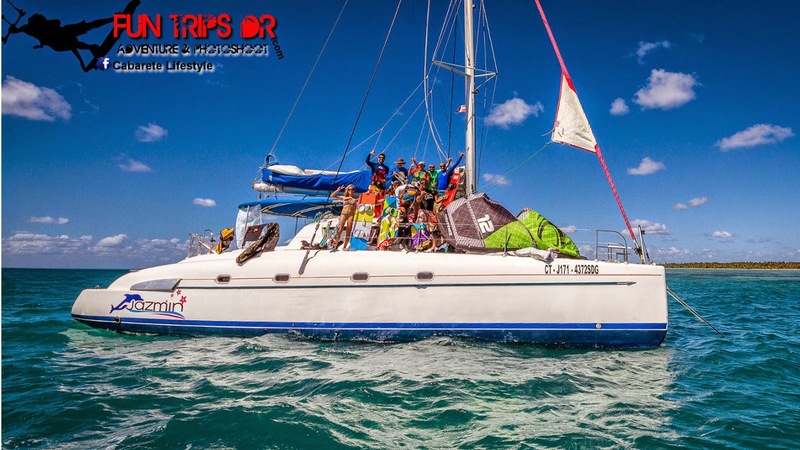 The guest will be able to doing during the cruise, down winder along the mangrove, surfing on the waves spot ,jumping and do some tricks on the beautiful, clear caribbean flat water. The Fontaine Pajot catamaran Jazmin Bahia 46 change your dreams on a reality during your kite cruise. 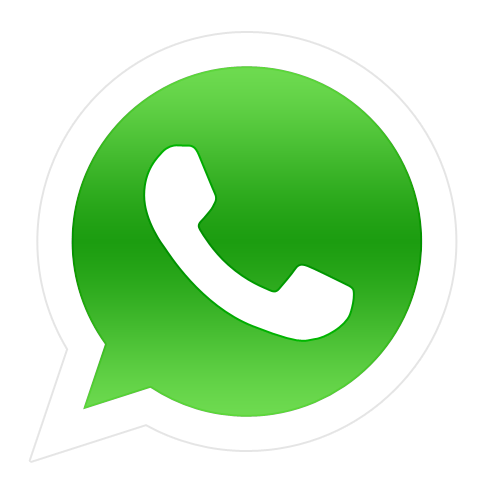 Safe, fast and elegant. You will never forget your cruise. The cruising catamaran Bahia 46 offers space and comfort for the crew on board. Her accommodation facilities are provided in 4 double cabins with en suite facilities and 2 single cabins for further members. The catamaran has 4 doubles rooms + 2 simples berths, 4 private shower rooms with washbasin, shower and marine toilet, pressurized hot and cold water and on the kitchen he has 4 stainless steel sinks, 3 burner hob with oven, frigoboat-fridge and 12V fridge. The Catamaran is equipped with a dingy .